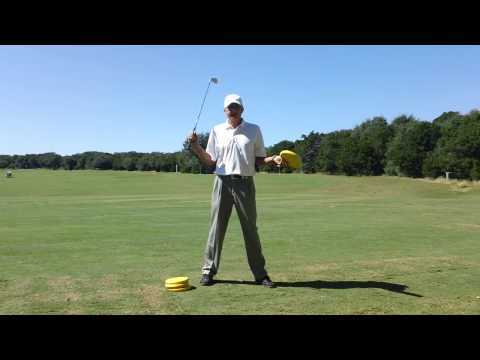 Great Putting Drill to Help you make a Smooth Stroke! If you are having difficulty controlling your distance on the putting green, you probably have a little too much "hit" in your stroke. This can be especially true if you are putting on overseeded greens. When the greens get slow, you feel you have to pound the ball to get it to the hole. Then, when you go play a course where the greens are not overseeded, you hit every putt way too hard! If this sounds familiar, I have a great drill for you to try. To get the feel of a proper putting stroke, I would like for you to simply take some practice putting strokes with your eyes closed. Since there is no ball in front of you, there will be no urge to "hit" the ball. You will feel a flowing stroke absent of tension. Pay particular attention to your follow through. There should not be a sudden "stop" at the end of the stroke. Just think "back and through". Now, find a level putt of about 20' in length on the putting green. Take your set up, look at the hole for at least three seconds, look back at the ball, close your eyes and putt (don't open your eyes until the ball is well on it's way to the hole). You may be suprised as to how close you will come to making the putt, even with your eyes closed! By looking at the hole for three seconds, you are allowing your brain and eyes to calibrate the amount of stroke needed to get the ball to the hole. Another way to do this drill involes the use of a friend. Again, find a level 20' putt. 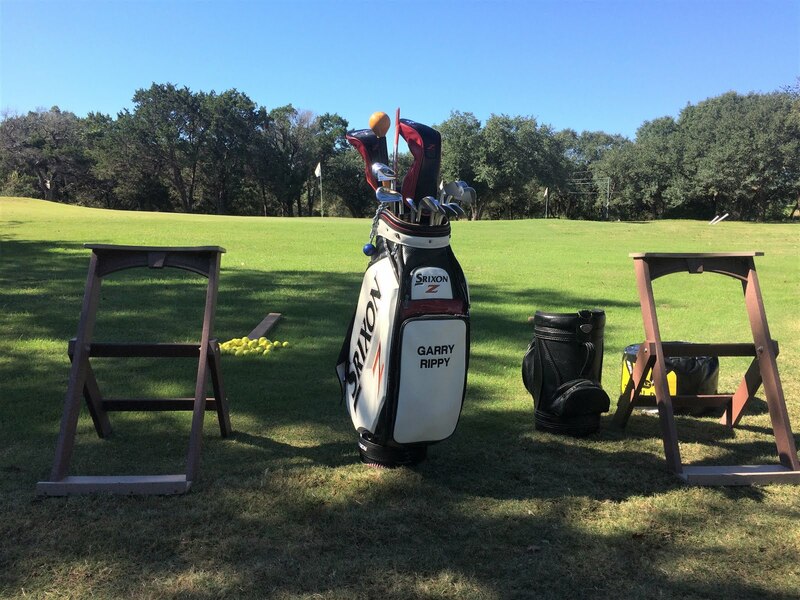 Take your set up, close your eyes and start making continuous practice strokes. The strokes should match the distance you are trying to hit the putt. As you are making these strokes your friend will place a ball in the way of the putter. You will not know when a ball is going to placed in front of you. I suggest making about 10-15 continuous strokes and your friend may or may not put a ball in front of you on every practice stroke. The point is you will not know when a ball is going to be there, so your stroke will become very smooth and even. 1. Always look at the hole for at least three seconds before you putt. 2. As you are standing next to your ball, make a practice stroke while looking at the hole. 3. As you make your stroke, it should feel more even...remember "back and through". No sudden stop at the end of the stroke. 4. LET THE BALL BE WELL ON IT'S WAY TO THE HOLE BEFORE LOOKING UP!